The game features 34 single player levels, as well as 6 training levels, a movie-viewer and several other image viewer sections. This demo features only the opening three levels of the game. The storyline of the game pits Marvel character Spider-Man against his arch nemesis Doctor Octopus in a battle to save the citizens of New York. Spidey encounters a slew of thugs, lizard men and other enemies including Scorpion, Rhino, Venom, Mysterio and Carnage. 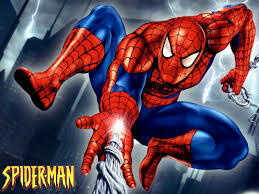 Spider-Man can shoot webs, crawl on walls, swing from building to building and perform several specialized fighting moves in order to defeat his enemies and solve the many puzzles he will encounter. The game caters to players of all skill levels and features a special Kid's Mode for the younger players.